Wembley and the FA Cup will not paper over the cracks of Chelsea's awful season. On Sunday Chelsea take on Southampton at Wembley in the FA Cup semi-final as we look to try and finish what has been a nightmare season on the right note. Chelsea head into the game as odds-on favourites for the game but as we have all seen this season, you would be better spending your money on the LeoVegas bonus code than on Chelsea. Victory in the Cup does not paper over the cracks that have appeared for the second time in three seasons which for me is the biggest concern of all. We never could imagine we would find ourselves left to pick up the pieces this summer having started the season as the Premier League champions with an impressive 30 wins from 38 games last time around. We all know what happened with our title defence that started under Jose Mourinho three years ago and finished with Guus Hiddink at the helm for the second time. That was bad enough and the biggest fall from grace you could imagine finishing tenth but this one, this time around is even more disappointing. The reason I say that is because of Antonio Conte. He came into the club two summers ago and instantly talked of hard work, discipline and a will to win. He talked of how a club like Chelsea cannot afford to have another season as we did in the previous year and that both he and his staff would insist on hard work to put things right. It was the significant emphasis he put on his famous work ethic, having won the league title in his last three seasons as a club manager with Juventus, turning them into the beast they remain in Italy that really impressed me. It had been a common topic at Chelsea but player power had played a huge role in our downfall three seasons ago, it was clear that we needed someone to come in and grab hold of that dressing room, the players by their privates demanding instant respect. Antonio Conte gave us that almost instantly with what he had achieved in his managerial career so far but also from his achievements as a player. No one would have ever imagined what was about to happen at Chelsea sitting there 0-3 down away to Arsenal at half-time having been comprehensively beaten by Liverpool at Stamford Bridge the week before. It seemed at that moment that all of our problems of the previous season were still there for all to see. Antonio Conte made his now famous tactical switch and the rest of last season, one of the best we have had is now a distant memory. So why have our problems reared their head once again this term? Is it down to player power? Is it the manager? Is it our tactical approach? Our transfer policy? Or is it a combination of everything? For me it's everything coming from upstairs, into the head coaches office, through to the players and onto that football pitch week in, week out this season. It's nothing short of embarrassing in my view and if we are able to beat Southampton to get to the end of season showpiece against either Man Utd or Tottenham, it will feel like a second-rate consolation with is nothing against a competition anyone should be proud of. I can't believe that the head coach has let the same thing happen as it did before. Where has been the desire to work hard, week in and week out to ensure it did not happen. Where is the tactical genius standing on the sidelines that could figure out how to effect a game when it was not playing out as he has initially planned? I understand there is frustration at the board, I understand that there is a frustration with certain players and just generally because things haven't gone your way, but last season, you were tasked to get the best out of the players you had to work with and you did that, in fact you did an unbelievable job in doing so. Why can't you now do the same with arguably better players as a collective. Yes Diego Costa has turned out to be a big, big miss but apart from him, we have signed a good player in Toni Rudiger and brought Andreas Christensen into the fold. We have signed Zappacosta to bolster our options at wing-back, our midfield has been strengthened with Bakayoko, Drinkwater and Barkley and we have two strikers in Alvaro Morata and Olivier Giroud who will prove to be and need I say have already proven how good they can be before the signed for Chelsea - all of them in our squad which makes us stronger in my view. Why have you not been able to get the best out of these players? Why do you refuse to use the likes of Drinkwater and Barkley? Yes there is a very slim chance of a top four finish but realistically it's long gone. The odds of Chelsea getting a top 4 finish on SkyBet are currently at 12/1, so if you're planning on trying to make some money out of the result, you'd be better off figuring out your betting strategy using the tips on sites like topfootballtipster.com and putting your money on something profitable. Thursday night Europa League beckons for us next season and it will now be interesting to see if Conte remains in charge beyond the summer. 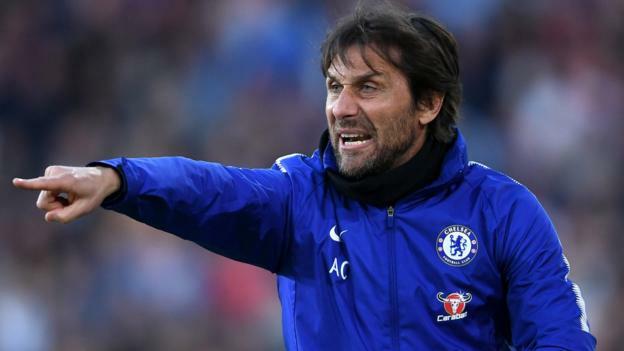 You all have your own opinions on the problems at Chelsea but the fact remains heading towards the end of the season, Antonio Conte for the first time in five seasons as a club manager, has failed to get the best out of those he had to work with and that's why we find ourselves in the position we are in. Heading towards Wembley on Sunday and hopefully in a a few weeks time will not paper over the cracks of our season.